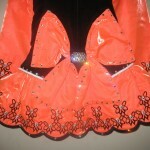 Beautiful eye-catching dress in excellent condition. Comes from smoke and pet free home. 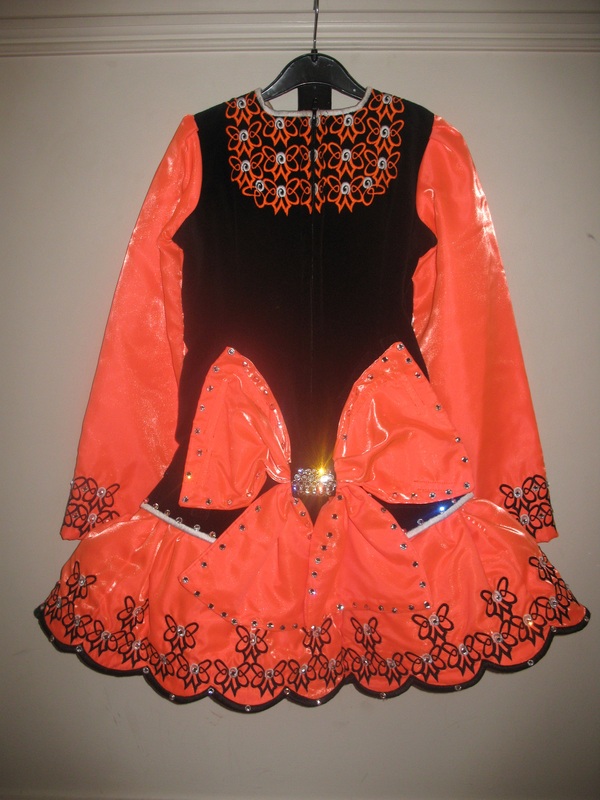 Black velvet bodice with vibrant orange twinkle satin sleeves and skirt. Adorned with swarovski crystals. 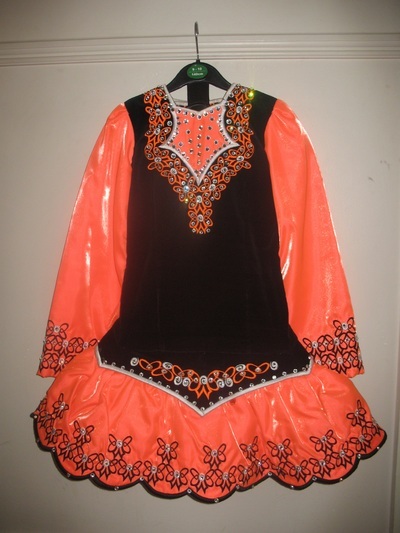 Includes black kick pants, matching hair band and coloured rossettes. 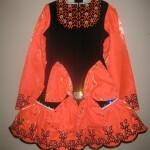 Would fit from age 9-12 depending on height of dancer. Asking Price: €475 ono. Shipping costs are included for my own country, overseas shipping is extra. Returns are negotiable.